A great apartment in Paris! : Are vacation rentals still legit? Well, are they? ARE THEY? 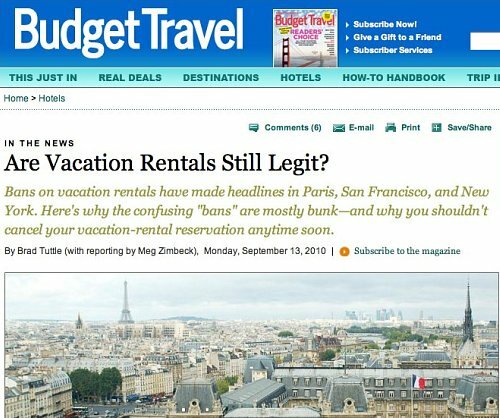 Are vacation rentals still legit? Well, are they? ARE THEY? Funny you should ask (the answer is 'yes', of course, before you start getting worried). I may or may not have commented for this recent article on the Budget Travel site, and that may or may not be the window box at the Great Apartment adding floral splendour to the page. Yay!